Our achievements would not be possible without the dedication and efforts of our enthusiastic and willing volunteers. We are always seeking new volunteers to join us and help us continue to run our assets and events. We are a sociable group of people with an interest in Portsoy and its maritime history, culture and heritage. There are various roles available from archiving the museum collection to helping out at events to guiding people around the museum. There are also one-off projects that often need an extra pair of hands so if you’d prefer to help out on occasion rather than committing to a regular number of hours every month, there may be something for you too. We undertake a lot of work with primary and secondary school children, teaching and facilitating (and preserving) the skills of wooden boat building and restoration. 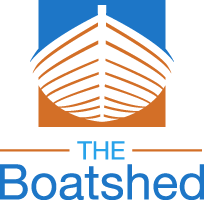 We also work with community groups and now also offer residential boat building courses at The Boatshed, so if you have a passion for woodwork, boats and people and would like to get involved, no matter your skill level, we’re sure to find a role for you. A great deal of planning and organisation takes place prior to the Festival. We are always keen to recruit members to our committee to help coordinate the various elements of the Festival programme. Or, if you’d prefer to help out during the Festival itself, we always need help before, during and after the event to set up facilities, as well as stewards to ensure safety across the event locations. In return for a few hours help, you will receive free entry to the Festival with time to enjoy it before and after you volunteer. If you are interested in helping with any of the above, please do get in touch with us. We would love to hear from you and depend on our fabulous volunteers to allow us to continue our work. The Salmon Bothy, The Boatshed and The Scottish Traditional Boat Festival are all part of Portsoy Community Enterprise, a registered charity. We rely on support through donations, ticket sales and sponsorship to fund our work. If you would like to make a donation or talk to us about sponsorship for any of our operations, we would be delighted to talk to you so please contact us. Portsoy Community Enterprise is registered for Gift Aid, which permits us to reclaim 25p of Gift Aid for every £1 donation made. 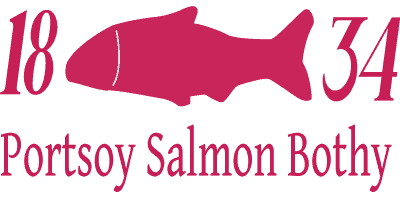 Gift Aid is reclaimed by PCE from the tax you pay for the current tax year. In order to obtain Gift Aid, you must be a current UK taxpayer, provide your home address and you must be making a personal donation. We will ask for further details upon receipt of your donation.